You may have noticed that The Weekend Gourmet has been a bit...silent...this month. That's because I came down with a nasty case of the shingles...not fun!! Per doctor's orders, I was told to rest and stay out of the kitchen...and no blogging. I'm slowing feeling better, so I'm dipping my toe back in to make sure this month's Wendy's Favorite Things column is posted before I flip the calendar tomorrow. 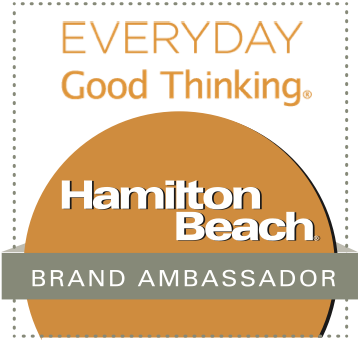 This month's Great Eight features a few treats, a few healthy bites...and even a refreshing beverage to beat the Summer heat!! (1) Callie's Charleston Biscuit's Cocoa & Cream Cookies. These Cocoa & Creams are quite possibly the best cookie I've tasted in ages...I'm hooked!! The best way I can describe them is like this: they're like a famous chocolate sandwich cookie and a whoopie pie had a baby...a delicious baby. These addictive cookies feature a rich, not-too-sweet chocolate outside and a generous amount of homemade buttercream filling. The cookie part isn't chewy, but it's not hard or crunchy either. It's got a perfect soft bite! Cocoa & Creams come packaged with one dozen large cookies just waiting to be enjoyed. 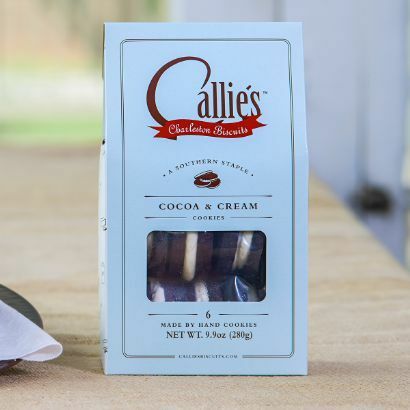 To order a package of Cocoa & Creams -- or their amazing Southern-style biscuits -- simply visit the Callie's Charleston Biscuits online store. I know you'll go crazy for them too!! (2) Terlato Kitchen Vodka Sauce. 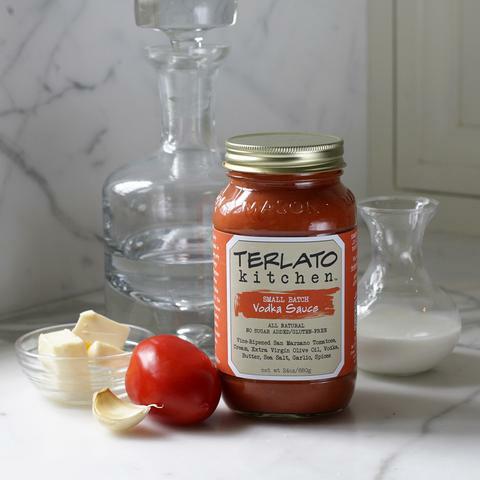 Terlato Kitchen's Vodka Sauce lets me put together a gourmet pasta dinner in no time, which is especially appreciated on busy weeknights. This creamy, richly flavored sauce is made in small batches, so it really tastes homemade! Made in California with a handful of fresh ingredients -- including San Marzano tomatoes -- it's ready to use in all sorts of creative ways. I sauteed shrimp and garlic in olive oil. I added the vodka sauce and some chiffonade basil. I served this delicious sauce over penne pasta. 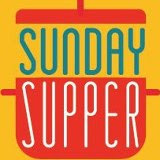 I had a delicious, restaurant-quality meal on the table in about 30 minutes! FYI...Terlato Kitchen also makes delicious Pomodoro and spicy Arrabbiata sauces. Terlato Kitchen pasta sauces can be purchased from their convenient online store. 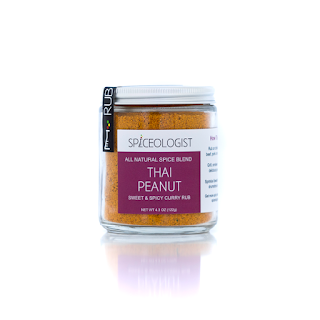 (3) Spiceologist Thai Peanut Sweet & Spicy Curry Rub. This versatile spice rub is one of the most creative and flavorful seasoning blends that I've tasted in ages! Spiceologist Thai Peanut blend is made with dehydrated peanut butter, spicy red curry, coconut, and a touch of sugar...it's truly a treat for the tastebuds! Thai Peanut rub's peanut flavor is perfectly balanced by sweet and spicy background flavors, and bits of coconut provide texture and added flavor. So far, I've used this yummy spice blend two ways. First, I generously rubbed chicken breasts with the Thai Peanut and let it rest in the fridge. 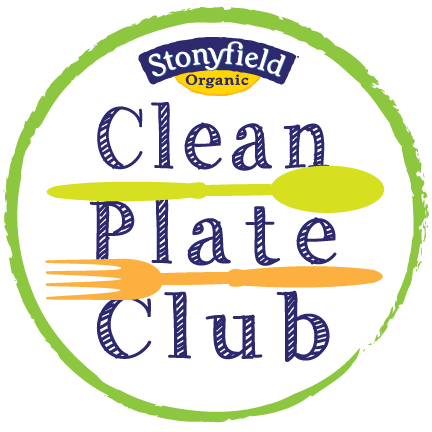 That night, I grilled the chicken and served it over rice with a simple sauce made by combining more of the Thai Peanut with plain Greek yogurt to taste. It was amazing! To find Thai Peanut blend and other great Spiceologist products at a store near you, visit their store locator. They also have a convenient online store that will ship direct to you. 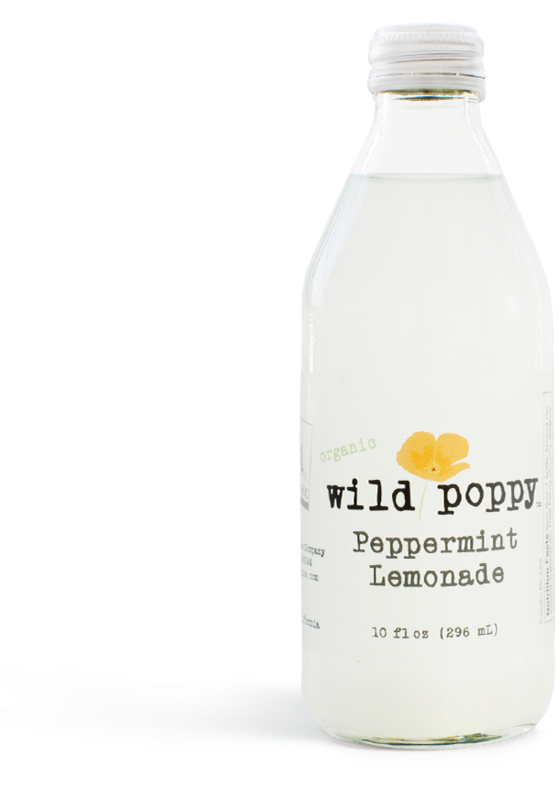 (4) Wild Poppy Organic Peppermint Lemonade. The weather this Summer has been brutally hot, which means drinking lots of icy-cold beverages to help keep cool. My favorite new-to-me beverage this Summer is California-based Wild Poppy's creative and super refreshing Organic Peppermint Lemonade. It's the perfect blend of tart and sweet lemonade, then the cooling flavor of the peppermint kicks in. It's creative, unique...and oh-so refreshing! I just love this lemonade! Other creative juice flavors in Wild Poppy's lineup include smooth Peach Vanilla, zingy Grapefruit Ginger, and the lightly spicy Blood Orange Chili. Wild Poppy juice products can be found at major retailers nationwide. My Texas readers can find Wild Poppy juices at their local Central Market location. (5) Garden Lites Muffins. I'm always on the lookout for foods that taste good, but are good for me too. 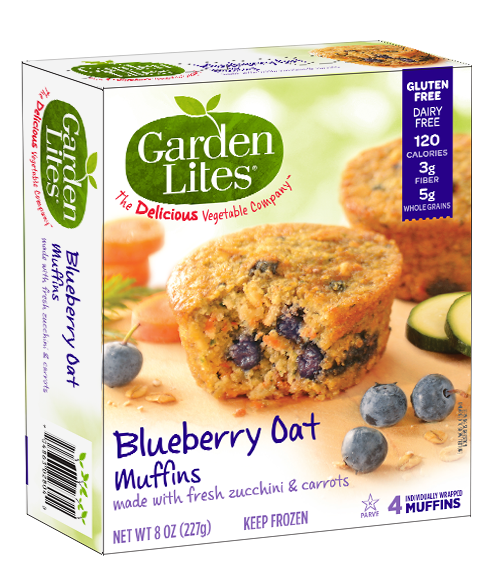 Enter Garden Lites' line of muffins that include veggies for added fiber and health. In fact, the first two ingredients in every muffin are nutrient-rich zucchini and carrots! A box contains four individually wrapped muffins, each with 120 calories and 3 grams of fiber. Simply heat in the microwave for about 30 seconds, and you have a great breakfast for snack. 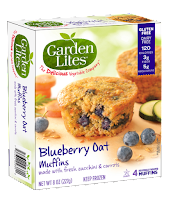 Garden Lites muffins come in three flavors: Chocolate, Banana Chocolate Chip, and Blueberry Oat -- which reminds me of carrot cake with a burst of blueberries! I love to take one of these muffins to work, along with a container of Greek yogurt, for a healthy and filling breakfast. To find Garden Lites muffins near you, check out their online store locator. 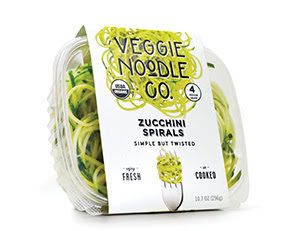 (6) Veggie Noodle Company Zucchini Spirals. Zucchini noodles -- aka zoodles -- are all the rage. I've been intrigued, but haven't wanted to invest in a spiralizer. My kitchen philosophy is: save time and effort where possible. That's why I was so thrilled to discover Austin-based Veggie Noodle Company's line of convenient ready-to-use veggie spirals! Their versatile veggie spirals can be eaten raw in salads, sauteed and used as a pasta alternative, or even added to soups. I sauteed a package of the zucchini spirals and subbed them for half of the pasta in spaghetti and meat sauce for dinner one night. I loved cutting carbs and calories -- and adding fiber and nutrients -- via this simple swap. Other varieties in the Veggie Noodle Company lineup include Butternut Squash, Sweet Potato, and Beet. I can't wait to experiment with them all! 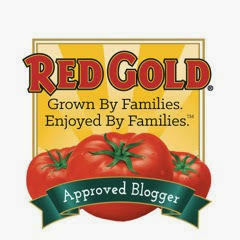 To find Veggie Noodle Company Products near you, visit their Where to Buy page. (7) Clairesquares Shortbread and Caramel Bars. Decadent Clairesqures combine a shortbread base, a rich caramel filing, and a topping of Belgian chocolate. Combined, they make for one fabulous treat! The Claire behind Clairequares is originally from Ireland, where she originally created her treats as a teenager. She lives in San Francisco now and decided to open a business in 2006 to sell her divine creations. 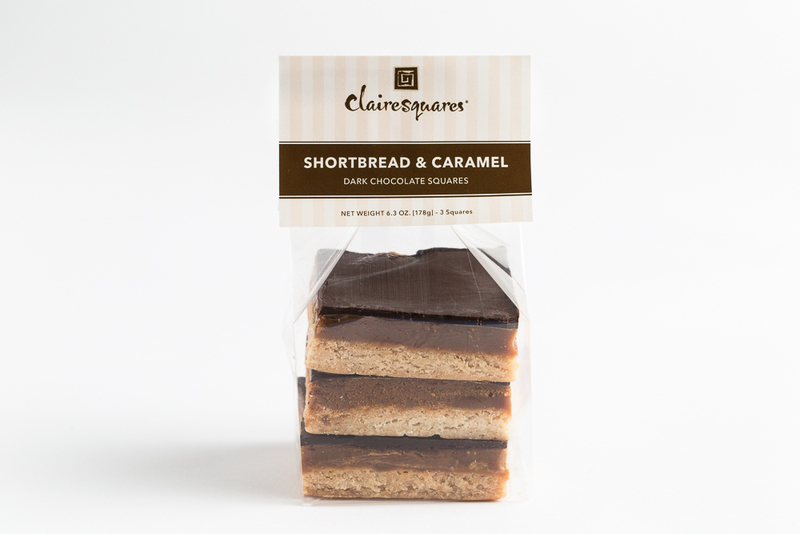 The Clairesqures shortbread base is rich and buttery, the caramel is dark with a slight bitterness that I love, and it's topped with dark or milk Belgian chocolate. Claire notes her squares pair nicely with Cabernet Sauvignon wine. Other tasty treats Clairesqaures offers include Buttery Shortbread Squares and Jammy Jacks -- an oat bar with a sweet-tart raspberry jam filling. Clairesquares products can be purchased at select retail locations and via their online shop. (8) O Fig Balsamic Vinegar. By now, you know how much I adore California-based O olive oils and balsamic vinegars. My current favorite is their Fig Balsamic Vinegar. This award-winning balsamic is made by aging rip mission figs in O's California Balsamic in oak barrels. The end result is a sweetly tart, deeply flavored dark balsamic. I love to combine it with O's Blood Orange Olive Oil, minced shallot, salt, and pepper to make an amazing simple vinaigrette. This combination also makes a great marinade for pork tenderloin. The folks at O recommend drizzling their Fig Balsamic over vanilla ice cream or fresh in-season strawberries! 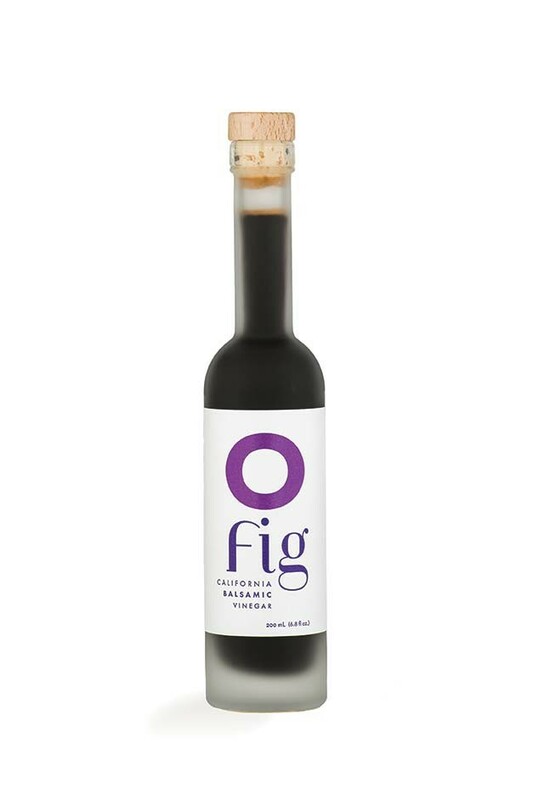 To purchase O Fig Balsamic, simply visit their online store. They're currently offering free shipping on orders of $60 or more. Disclosure: The companies who make the products featured in this column provided me with samples to facilitate inclusion. However, I only recommend products to my readers that I have personally tried and enjoyed. All opinions expressed are solely my own.